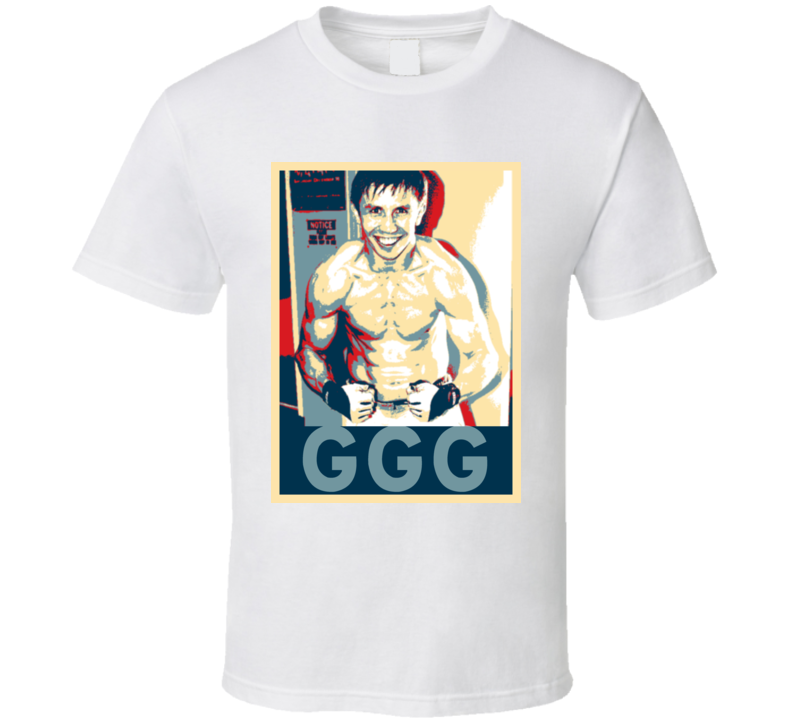 Gennady Golovkin Triple G Hope Boxing T Shirt is available on a White 100% Cotton Tee. 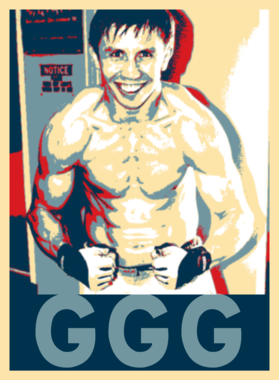 The Gennady Golovkin Triple G Hope Boxing T Shirt is available in all sizes. Please select your desired shirt style and size from the drop down above. Buyers are responsible for returning any shirts that are defective in original packaging and in new condition. You will be refunded 100% for the tshirt (excluding shipping costs). We can only offer a 100% refund for defective orders as our items are individually printed upon purchase. We can take back shirts that do not fit or you simply want to return with a $7 restocking fee. Contact boxingtshirts@ymail.com.